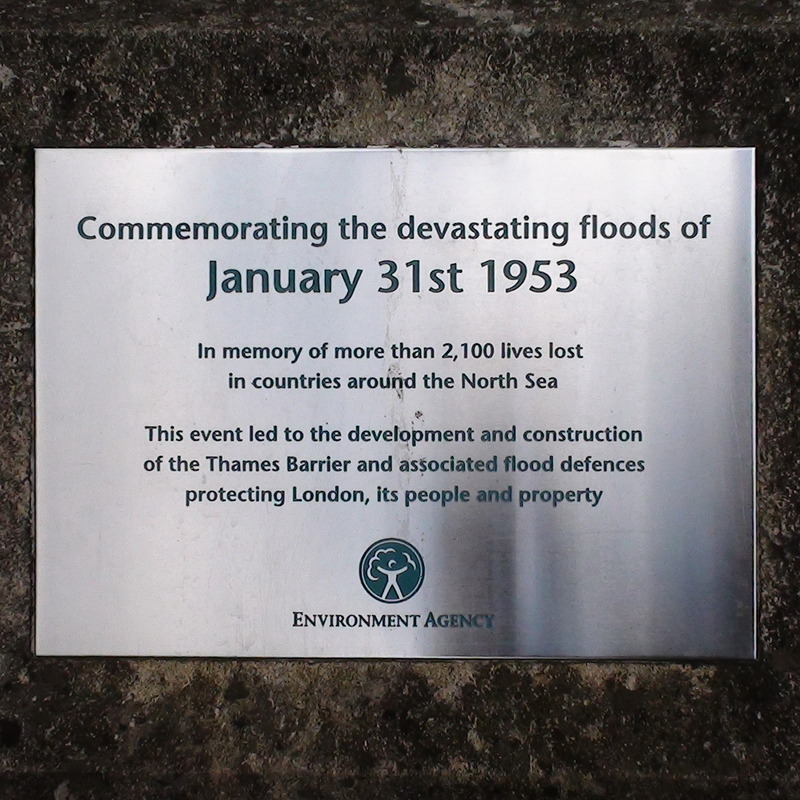 Commemorating the devastating floods of January 31st 1953. In memory of more than 2,100 lives lost in countries around the North Sea. 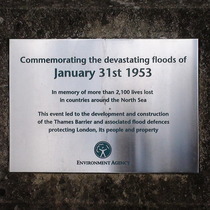 This event led to the development and construction of the Thames Barrier and associated flood defences protecting London, its people and property. He lived at what was number 19 Warwick Crescent. In the photograph of the current building the plaque is behind the portico.